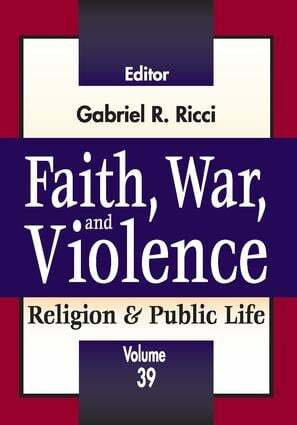 Faith, War, and Violence analyzes the age-old links between religion and violence perpetrated in the name of God, and the role religion performs in politically infusing the state with romantic spiritualism. The volume examines instances of this phenomenon from ancient Rome to the modern day; it finds that religion-inspired violence is not restricted to Abrahamic faiths or to one geographic region. The fact that symbolically charged religious violence has destructive consequences is not lost on contributors to Faith, War, and Violence. Among the subjects tackled are: the ideological and religious foundations that inspired the founders of Al-Qaeda and its role in the Arab Spring; the long history of religious conflict in Ireland known as the Troubles; Sikh extremism; and the evolution of the Christian approach to war. As the contributors demonstrate, in Western societies, the unity of religious fervor and warmongering stretches from Constantine's incorporation of Christian symbols into Roman army flags to slogans like Gott mit uns (God is with us), which appeared on the belt buckles of German soldiers in World War I. In recent years, George W. Bush declared the war on terror a "crusade," and his speechwriter, David Frum, coined the religiously inspired term "Axis of Evil," to describe Iraq and other countries opposing the United States.